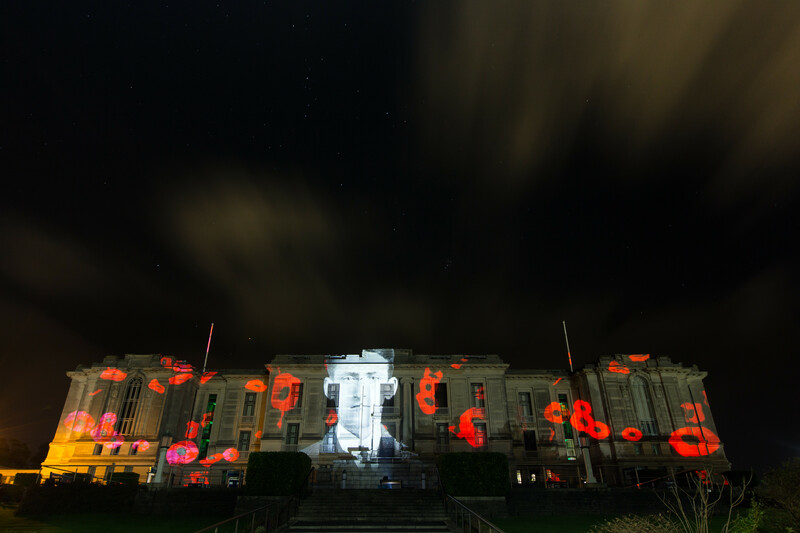 A unique video project commemorating the 100th anniversary of the death of Wales’s most famous Great War poet, Ellis Humphrey Evans was last Thursday (November 10th) beamed onto the front of the National Library of Wales in Aberystwyth after receiving backing from the ScottishPower Foundation. Snowdonia shepherd Evans – better known by his bardic name of Hedd Wyn (Welsh for ‘Blessed Peace’) – was killed on the opening day of the Battle of Passchendaele in 1917, days after being sent to the front line as a conscript. Yr Arwr (The Hero), an epic poem the reluctant soldier had finished just before his death, posthumously won him the Bardic Chair at the National Eisteddfod that same year. The National Library of Wales and the Snowdonia National Park Authority, which maintains Hedd Wyn’s family farm Yr Ysgwrn, in Trawsfynydd, Gwynedd as a living museum, both hold extensive collections and have collaborated in an ambitious and far-reaching year-long education outreach programme throughout the year bringing the poet’s story and his work to life for a new generation. Their work, supported by the ScottishPower Foundation, has included delivering 26 workshops to over 800 schoolchildren and adults, and the distribution of 3000 copies of a specially-created booklet on Hedd Wyn’s legacy to primary and secondary schools across Wales. The project culminated last night on November 9, two days before Remembrance Day, when a video installation titled Y Milwr Amharod (The Reluctant Soldier) involving Hedd Wyn’s 89-year-old nephew Gerald Williams and children from the poet’s native village, was beamed on to the imposing facade of The National Library of Wales at Aberystwyth. Mr Williams and the pupils from Ysgol Bro Hedd Wyn, the school which bears the poet’s name, read his most famous work, Rhyfel (War), for the piece which was specially commissioned by the ScottishPower Foundation and directed and produced by Manchester-based filmmaker Gavin Sturgeon. Lines from the poem talking of the futility of war have been delicately interwoven with evocative new footage shot on location at Hedd Wyn’s home, Yr Ysgwrn, and images relating to the poet and the wider Welsh experience in the Great War provided by both the National Library of Wales and the Snowdonia National Park Authority. Outdoor projection experts Double Take Projections used a bank of three projectors to beam the film across the whole length of the library’s 80ft tall front elevation last night. Some of the children involved in the film travelled from Trawsfynydd to witness the one-off spectacle last night before the video was passed to both the National Library of Wales and the Snowdonia National Park Authority for future use. 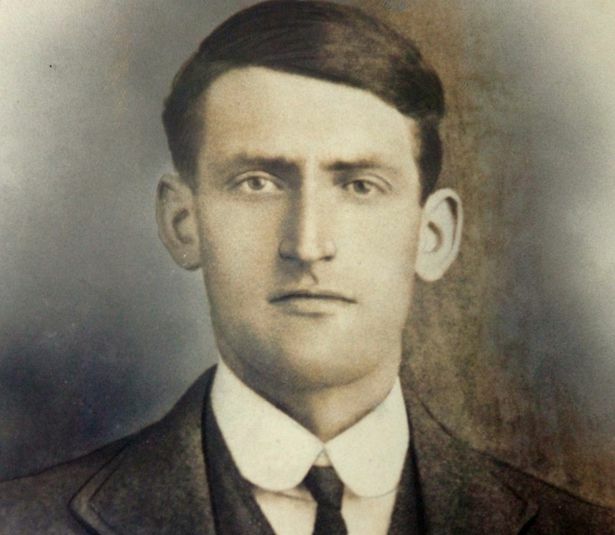 A spokesman for the Snowdonia National Park Authority said: “In September 1917, Hedd Wyn became a symbol of a generation of Welshmen killed during the First World War. Since then, his family home at Yr Ysgwrn, Trawsfynydd, has been a quiet memorial to this lost generation, perpetuating timeless messages on peace, war, culture and society. “During the centenary year of Hedd Wyn’s death, it has been our privilege to work with the National Library of Wales and the ScottishPower Foundation, using our collections to bring the story and legacy of Hedd Wyn to life for a new generation of young people, who will be the future custodians of our heritage and of peace”. The ScottishPower Foundation was established in May 2013 and this year has given a record £1.8m to good causes throughout the UK. ScottishPower Foundation trustee Ann McKechin said: “It was a privilege to witness the reaction to the film last night and celebrate the success of this project. The story of Hedd Wyn, his poetry, and his tragic death before he was able to claim his rightful honour as winner of the Bardic Chair at the 1917 Eisteddfod are an important cultural legacy not only for the people of Wales, but for us all.